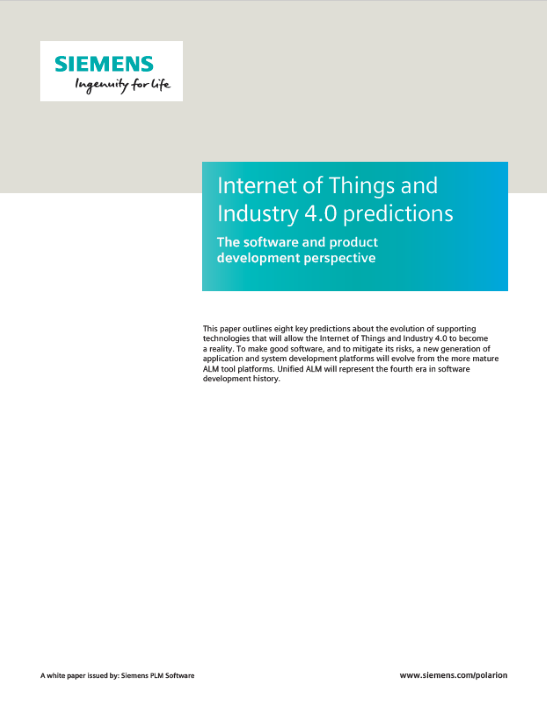 This paper outlines eight key predictions about the evolution of supporting technologies that will allow the Internet of Things and Industry 4.0 to become a reality. To make good software, and to mitigate its risks, a new generation of application and system development platforms will evolve from the more mature ALM tool platforms. Unified ALM will represent the fourth era in software development history.